Honestly, there's not much for story or character because this short is just 2 minutes long. However, it gives us an interesting look into what could have been. As a long-time fan of Lupin III, I admit I hadn't really thought about what a CGI adaptation would be like apart from the various video games about Lupin, but this short beautifully adapts the designs of the characters into 3D. They look just like they always have without looking uncanny and weird. The animators were selective about what to make more realistic looking, such as Fujiko's hair. There is no dialogue in this short, just the Lupin III theme, but it tells it's very short, simplistic story without any words. We just follow Lupin for another heist and an action-packed car chase that the series is known for. The only real bad thing about this short is that it never got made into something else. 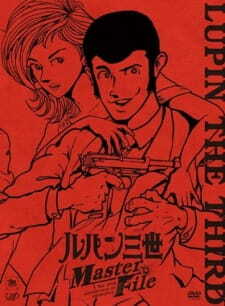 I would have loved to see a Lupin III movie in this style. It would have been especially interesting to see how the animation team would have adapted some of Lupin's sillier expressions into 3D.